This generation has witnessed hundreds of Apps launching everyday, in likely every industry whether it is in event, food, medical, education, service or anything you can think of. Both stores – Apple Store and Google Play offer over 1 million apps and making every possible move to reach out to every prospective user. Apple launched its App store in 2008, with just 500 apps, but within a span of 3 months, 3000 apps were introduced and 100 million downloads. Apple currently has around 1.2 million iOS apps available for download. Whereas, Google play has 1.3 million apps available at the moment and had 70% more app downloads than Apple’s App Store in the first quarter of 2015. After reading these figures, any business is aggravated to launch an App to reach out to customers. A successful app needs to have a strategy in terms of its design, user-interface, content and offerings. To stand out in the crowd, it must be positioned & marketed accurately. How to Build A Successful App? So, how can one attain a visible position in the crowded space of Apps? What is the consumer’s expectation? While studying & writing for the technology industry, it boasted an understanding of both the technical & the social aspects of app development. The perception has been changed completely from a user standpoint to a developer attitude. Planning it right from the idea to its formation, an App development task is fascinating. What kind of budget should be assigned? 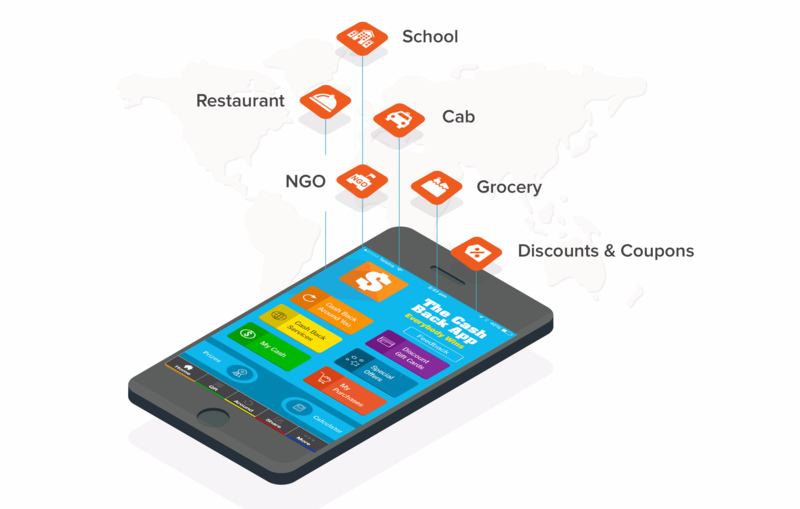 Well, the cost of mobile app development is dependent on a number of factors – features, complexity and most important of all, which platform you are going to use. Discussing it one by one, you will eventually start answering all the questions in your mind and may reach to the better quote yourself. A Designer: Who will understand the audience/end user and will create all the visual content to be embedded in the project. An Account Manager: A link between the client and the developing team to translate the client’s requirement and coordinates to complete the task. Calculating the amount of work, either basic or advanced a team will be assigned to take-off the job. Working with basic team, you will have a UI/UX designer, 1-2 developers, Backend developer & a QA engineer in your squad. Whereas in an advanced team, adding the project manager who will take care of the whole project considering the requisites and turning it into a successful product. Also, back-end and admin panel developer adds on where the projects demand server infrastructure/API. Marketing team, operation team and your own salary add up to team cost besides developing team. These heads are equally important to complete the job. Yes, this factor is important to decide the budget, but directly in proportion to the quality. In-house developing team is always convenient to work with. All your imaginations, thoughts, ideas can be discussed instantly. The conversation will move faster and more accurately. But hiring such a big team costs, whereas hiring a team offshore, not only reduces the cost but also saves a lot of time on recruitment. The midway could be by dividing the task into phases where designing of an app can be done in-house and an offshore engineering team can work on the app development. Calling it the hybrid approach, this boosts the efficiency and accuracy. It’s time to put all your thoughts on paper. Let your team brainstorm on the elements to be added in the App to make it function effectively. The cost of developing an app is majorly going to be calculated on the basis of elements you choose to have in your app. Incorporation of third-party services in the App – Third-party libraries, frameworks, services and websites. Like Cloud Storage, Audio/Video links. Social Media Integration – With technology advancement, you can float the information on different channels with just one click. The social media integration & synchronization is possible through the API’s of such channels like Facebook, Instagram, Twitter, Tumblr, Google+ and many more. Server Backend – Database & Synchronization elements require server infrastructure to control the App. By considering this element initially, you avoid any kind of intricacy in future activities. Admin Panel – Admin panel gives you the power to take control of backend activities and tune the settings, choose the content and float or view user statistics. E-Commerce – The developers team needs to apply intense coding to run e-commerce application within App. may take several months and a handful of teammates working hysterically to do so. If you are looking to capture the masses, then nothing better than going for iOS and Android platform. But if you are aiming to rope-in corporate or business class, platform like BlackBerry makes sense. As per Business Insider stats, Android has secured almost 80.2% of users while iOS has 14.8% user base. Knowing what kind of app – Basic, complicated or graphic rich – you are looking for, the decision of choosing the platform becomes easier. Palm Os is a better option if the app is going to run in the background, iOS doesn’t support this feature. For rich graphic app, Maemo instead if Windows Mobile is feasible to go with. Every app has different cost linked to it and varied income generation. Setting your budget before commencing has always been beneficial. No matter what is the purpose of building an app, you need a revenue model in place to sustain it for long. iOS creates fund flow close to $5000 (min) starting and on an average, one may expect $10,000 also. Technology changes every six months, you need to ask if the chosen platform is stable and what are the chances of survival. Plan ahead to avoid the consequences. Though it is minimal, but you need to pay an annual fee to keep your app in the app store. The cost varies as per the platform you are choosing. It is an important fact, sure to be missed in the initial cost evaluation process. Practically, you cannot store the data on your mobile app. You need to store it on cloud and require to pay hosting cost varies as per usage. R&D is always in progress along with the project. You may like to add something new – feature, element or anything in the mid of the project, that will cost you a little extra. Now this cost can’t be computed at the time of planning. Each change brings up the cost and you should be prepared to see the final bill. Testing live in market definitely saves the cost and is a smart idea. But does that give you enough time to go back and improve the errors? Can you really afford to take-it-off the market and re-launch it? And what is the probability of receiving the real feedback in terms of bugs & usability. There comes the testing part that includes a variety of tests to identify faults and errors and gives you a reliable app. You can’t run an app without up-gradations or rectifications. An App requires timely check and advancement to make it run smoothly. Users enjoy the new features added and that keeps them engaged. The development & running of an App is an ongoing project. Choose to go for maintenance, that comes with a cost, to fix security patches, bugs, update the app and much more. When you developed an app and place it in the store for download, do you assume it to be viewed and installed by the user out of millions of other apps? That’s not possible unless you tell them, its usage, features and value to the user. To be noticed & installed, marketing is required and is a significant activity to carry out. With multiple platforms, the requirements just get wider. The technology used to build an App for iOS may not work on Android. Porting your app from iPhone to Android is not an easy task. Most likely, the app needs to be re-written in different language to support different platforms. Before reaching to any conclusion, consider all the perspectives like getting the job done from a reputed professional agency or a freelance developer or a small firm. Then, comparing it geographically, this might change your direction. Working with an inexpensive developer as compared to an expensive one brings better results as it all comes down to the return on investment at the end of the day. 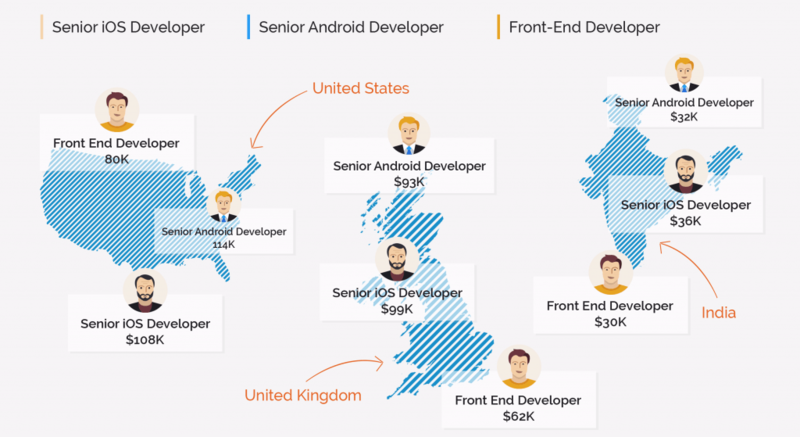 Let’s take out the hourly rate of developers which varies country to country. Approaching to big agencies might cost anywhere between $500,000 to $1,000,000. 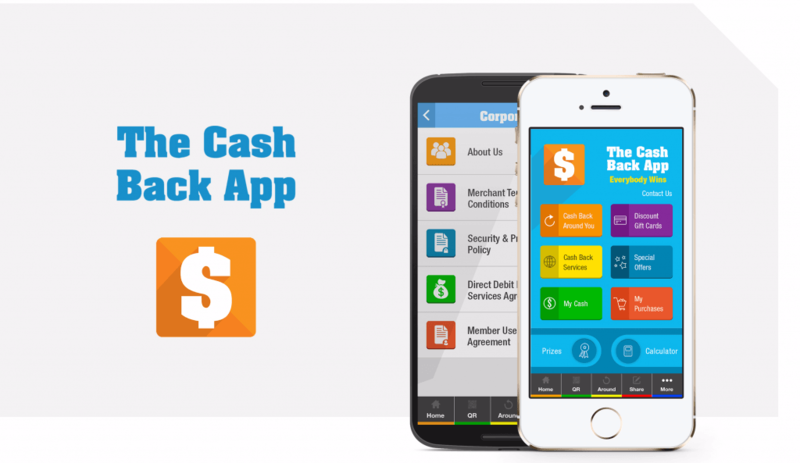 Savvy apps can be developed anywhere between $150,000 to $450,000. Small firms with a team size of 2-3 people will cost anywhere between $50,000 to $100,000. 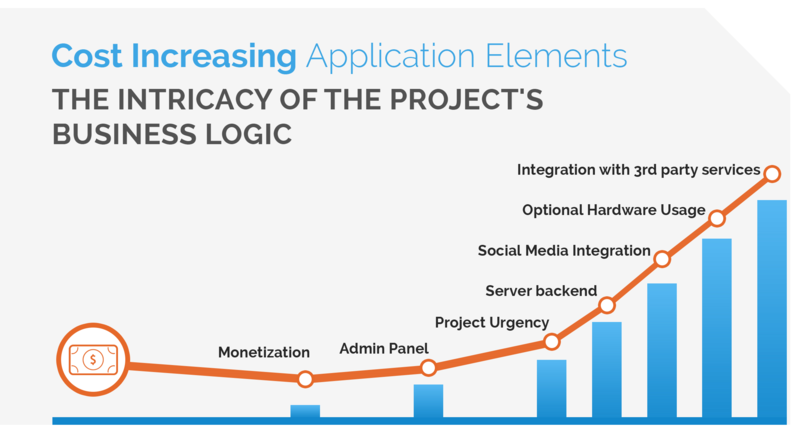 The answer to one simple question – The cost of developing an App – isn’t that simple. A developer or a professional company cannot answer out of the blue. If you have come across a cost calculator that can give you estimate by just selecting few icons online, that’s nothing but a marketing bait. As discussed, one need to decide on various factors, platform and elements before proceeding for its production. The cost of making an app is calculated on the number of hours that a project may take, on its functionality and time duration. Experts have segregated it into three categories – Simple, Mid Complexity & High Complexity. Simple Apps doesn’t require third-party integration, just need basic functionality and can run without a backend development team. It will take 600 hours and can be completed under $20,000. Mid Complexity Apps require UI features, real time chats, payment features, tablet and handset adaptation, integration with APIs, and a simple backend server. It takes approx. 600-800 hours to build & costs between $ 35,000 – $50,000. High Complexity Apps comprise advanced functionality, audio/video processing, real-time sync, custom animations, integrations with third-party services, complex backend with several types of database relationships, and more. It takes about 800+ hours to develop, and costs around $60,000 or may go upto $80,000. Now, before taking quotes for the app development, you are well-resourced to negotiate. Your understanding of choosing the right component for your app is widened. We have done a lot of estimates, according to your citations, brief, user stories & specification. Only after approval, the detailed estimate is provided and discussed. We initiate with analysis of all your requirements and then we move on to its Design & Development. You will notice a minute, but significant difference that we give our costing with Testing and Verification to make your product viable in the market for long. Be responsive & ready for a long term collaboration! If you have an app idea & want to develop a successful app for your business, talk to us & get free blueprint & quote for your app.